On November 13, 2017, Brookfield Property Partners made a non-binding proposal to acquire all the outstanding shares of common stock of General Growth Properties. Brookfield Property Partners already owned 34% of the company outstanding shares prior to the proposal. Each common share of GGP will be acquired for a consideration of $23.00. GGP’s shareholders can decide to receive compensation through either cash consideration or stock swap with a fixed exchange ratio of 0.9656 per BPY limited partnership unit. Both consideration methods are subject to a pro-ration based on a maximum cash consideration of $7.4bn and a maximum of 309 million BPY units valued at $7.4bn. The proposal represents a premium of 21% with respect to the closing price of General Growth Properties shares on November 6. About Brookfield Property Partners L.P.
Brookfield Property Partners L.P. is a Toronto-based diversified alternative asset manager, focused on investing in long-life, high quality assets across real estate, infrastructure, renewable power and private equity. The company owns, operates and develops a diversified portfolio ranging from industrials and hospitals to student housing assets. It operates through four segments: Core Office, Core Retail, Opportunistic and Corporate, and has established a partnership with Brookfield Asset Management through which it makes global investments. As of December 31, 2016, the company managed the following assets: its core office segment consisted of 142 office properties totalling 99 million square feet; its core retail segment consisted of 127 regional malls and urban retail properties; its opportunistic segment consisted of 107 office properties comprising approximately 29 million square feet of office space in the United States, United Kingdom, Brazil and Asia. In Q3 2017, BPY registered $1.213bn in revenues (vs. $1.208bn in Q3 2016), with a $0.66bn net income (vs. $1.6bn in the prior year period). About General Growth Properties Inc.
General Growth Properties, Inc., is a self-administered and self-managed real estate investment trust (REIT). It operates as a holding company and focuses on the development and management of retail and other rental properties, primarily regional malls in the United States. As of December 31, 2016, GGP owned 127 retail properties of approximately 125 million square feet of gross leasable area (GLA) in the US. The company’s business is conducted through GGP Operating Partnership, LP (GGPOP), GGP Nimbus, LP (GGPN) and GGP Limited Partnership (GGPLP), and subsidiaries of GGP. For Q3 2017, net income was $223m (vs. $674m in the prior year period). Net income attributable to GGP decreased 67.0% from the prior year period primarily due to 2016 gains related to the sale of interests in three properties. The retail industry slump has brought down prices in real estate with high exposure to commercial activity. The S&P Retail Industry Index has fallen 8.77% in the last 12 months, suffering from the rise of ecommerce, especially Amazon. In this critical time for the industry, some of the biggest retail shops in the US have closed more than 5,000 stores this year, and the ones that suffered the most were names such as Macy’s, Sears, JCPenney and KMart, which affect directly the US shopping malls companies. By the end of 2017, 8,600 stores are expected to be closed in the US and analysts predict that 1 out of 4 malls will be closed as well by 2022. Mall landlords are aware of their industry situation and, in many cases, are willing to handover ownership to creditors instead of trying to restructure debt for their struggling businesses. The debt levels within the sector are increasingly high and the default rate in the retail industry has risen to 6.5%, according to Wells Fargo. Experts say that the market is changing due to technological developments and the growth of ecommerce and that the future of retail will depend on players’ ability to create a meaningful experience to consumers. This trend is confirmed by the continued success of “Class A” shopping malls in the US, which are the ones GGP focuses on. According to a research conducted by Green Street Advisors, high-end shopping centers have doubled in value in the past decade. It is estimated that there are currently about 300 Class A shopping malls in the US, while there are over 700 Class B and C that are struggling the most. As a response, Brookfield and other competitors are converting part of their shopping areas into commercial offices, fitness centers, entertainment parks and apartments or even repositioning their shopping malls in the market in the hopes of attracting more customers and generating growth. Brookfield Properties, who currently owns 34% of the US shopping mall owner GGP has offered $14.8bn to buy the remaining 66% stake on the company. This value represents a 21% premium over GGP’s stock price on November 6, the day before Bloomberg reported the initial talks about the acquisition. The fund manager is offering $23 per share in cash or stock, and GGP shareholders will own about 30% of the combined company. The bid implies a value of $22bn to GGP and is expected to result in a company with an ownership interest over $100bn in real estate globally. According to the Proposal, each GGP stockholder would be entitled to elect to receive consideration per GGP common share of either $23.00 in cash or 0.9656 of a limited partnership unit of BPY, subject in each case to pro-ration based on a maximum cash component of 50% of the aggregate offer and a maximum stock component of 50% of the aggregate offer. The Board has formed a special committee (the “Special Committee”) of its non-executive, independent directors which, in consultation with its financial and legal advisors, will carefully review and consider the Proposal and pursue the course of action that it believes is in the best interests of the Company’s stockholders. The Company’s stockholders do not need to take any action at this time. 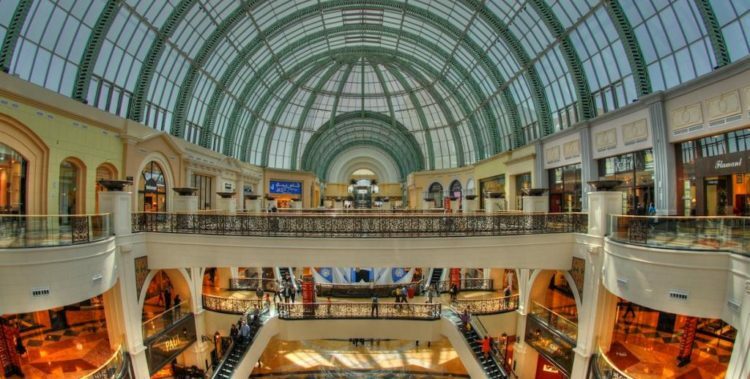 Taking into consideration the struggling US shopping malls industry, which have suffered for the upsurge of ecommerce and internet shopping, the Brookfield’s bid to acquire the remaining stake in the mall owner GGP appears very intriguing. Store closures are hastening and the biggest player in the business, Simon Property Group, has fallen 7.8% this year. According to analysts, the move is described as “contrarian”, after US shopping mall portfolios have been heavily bet against by hedge funds over the past 12 months. However, according to the information disclosed by Brookfield Property, acquiring the 66% of outstanding common shares it doesn’t currently hold will create one of the largest listed property companies in the world with around $100bn in assets and an annual net operating income of around $5bn. It is predicted that significant cost savings and synergies will be achieved through the transaction, mainly thanks to the extension of present expertise to the broader asset base that will be created. Furthermore, Bruce Flatt, Chief Executive Officer of Brookfield Asset Management, declared that the focus of the company is to buy and revamp shopping centres to take advantage of the land they occupy in urban areas. Since GGP last month reached an agreement with AvalonBay to build apartments at a shopping mall in Seattle, and, to confirm the direction of strategy, CEO Mathrani affirmed that the company will look to explore similar projects at other locations, Brookfield’s bid appears consistent. The plans of leveraging the existent expertise to grow, transform or reposition GGP’s shopping centres will create long-term value capitalizing on the opportunity to transform or reposition assets with new forms, in a way that would not be possible standing alone. The shareholders of the acquirer will benefit from an immediate accretion in shares and they will obtain a direct access to the enhanced GGP’s retail portfolio, exploiting a simplified ownership structure compared to the previous one. On the other side, GGP owners will receive a 21% immediate premium to the unaffected share price, an enhanced quarterly dividend, while keeping the participation in the company. Finally, they will gain exposure to a premier, globally diversified commercial property vehicle. Shares in GGP climbed above the offer price, gaining 5.9% to $23.52 in New York. Previously, they have dropped nearly a quarter over the year, as investors have sold shares in property companies with high exposure to shops. Even after getting a boost from reports of Brookfield’s interest, GGP shares are down 11% since the beginning of the year. On the other side, shares in Brookfield Property fell 3.5% upon the disclosure of the bid. Goldman Sachs is serving as financial adviser to GGP’s special committee formed to carefully review and consider the proposal, while Citigroup is serving as global advisor of the firm.